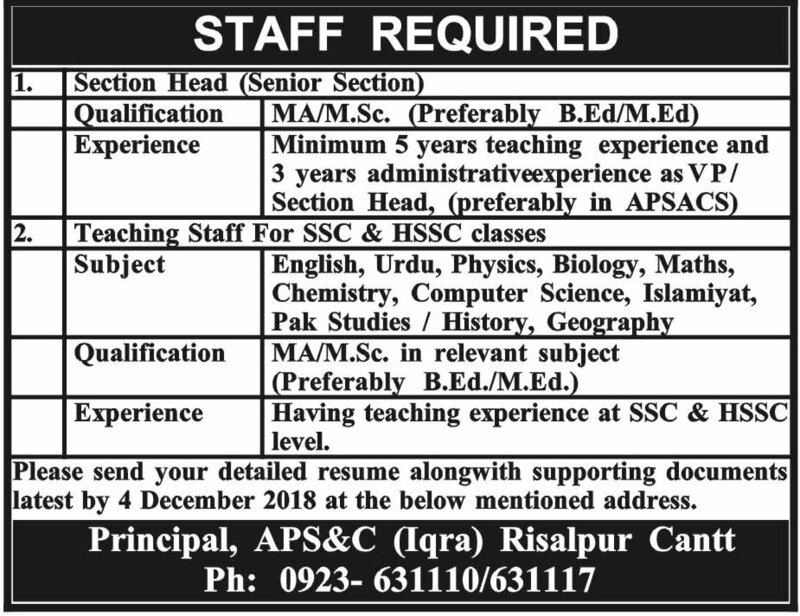 Army Public School & College (APS&C) Risalpur Cantt Nowshera Khyber Pakhtunkhwa. Experience: Having teaching experience at SSC & HSSC level. Please send your detailed resume along with supporting documents latest by 4 December 2018 at the below-mentioned address.